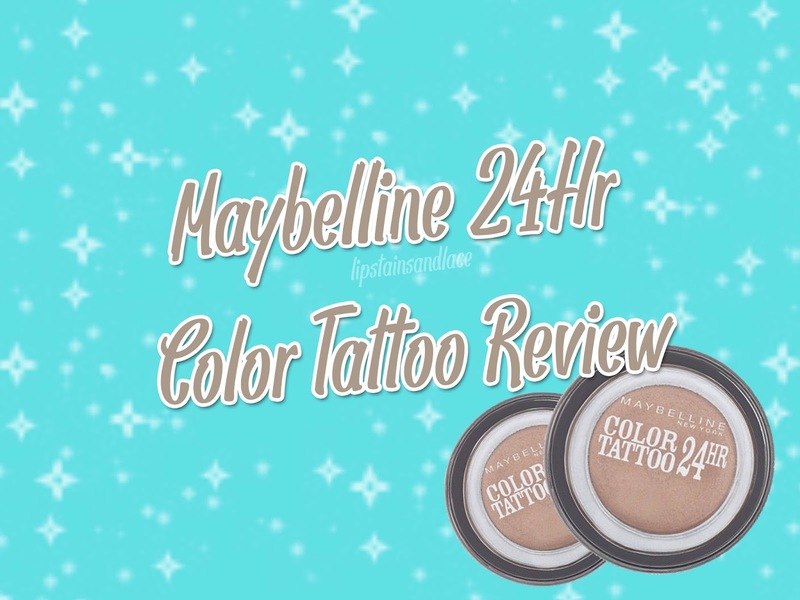 So about a month or two ago I bought 2 of the Maybelline 24 Hour Colour Tattoo Eyeshadow pots to try out for myself after hearing great things about them. I bought them in the shades "Pink Gold" and "On and On Bronze". 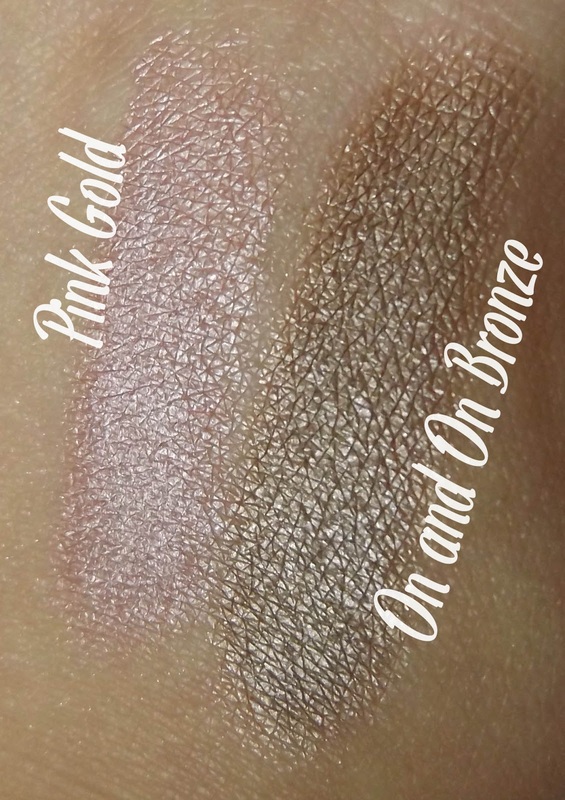 The pink one is a beautiful light pink shimmery colour that's very girly and the bronze one is a beautiful golden brown colour. I wouldn't normally use cream eyeshadows because they always crease on me after a while so I was interested to see how long these would last. 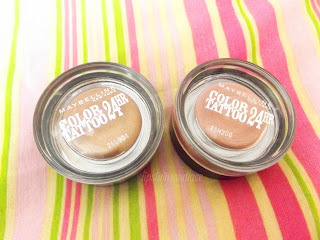 The eyeshadows are very easy to apply and dry almost immediately and when they dry they're almost impossible to rub away. These eyeshadows do exactly what they say, they last ages on your eyes without creasing or budging a bit! These eyeshadows would be perfect to wear if you have an all day event or if you're going on a night out. I'm totally impressed with the pigmentation of these eyeshadows as well as their staying power, I'll definitely be investing in more colours! They come in a wide range of colours and you can buy them in most places that sell Maybelline products, or you can buy them online from Boots for €10.49 each by clicking here.